The largest and most affordable Online Bicycle Saddle E-Bike Shop! Bicycle Saddle E-Bike shop the largest and most affordable! 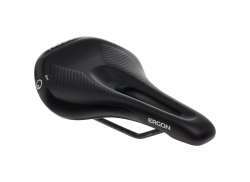 Do you want to buy a Bicycle Saddle for the E-Bike online? 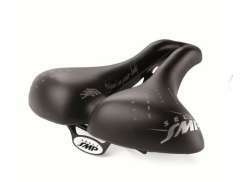 Hollandbikeshop.com has the E-Bike Bicycle Saddles you're looking for. Anyone who uses their electric bicycle on a daily basis, knows that a comfortable, robust E-bike Saddle is essential to a comfortable ride. Most Bicycle Saddles for the E-bike are therefore extra sturdy and designed for an upright cycling position. They're also often equipped with a handle, making it easier to lift your electric bicycle. 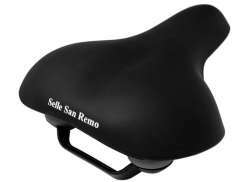 At Hollandbikeshop.com you can find a wide choice of Bicycle Saddles for the E-Bike by brands like Selle SMP, Selle Royal and Cordo. In our wide Bicycle Saddles & Seatposts range on Hollandbikeshop.com you can find Bicycle Saddles for your Electric Bike in various colors, sizes and models. So you'll surely find the Electric Bicycle Saddles you're looking for! 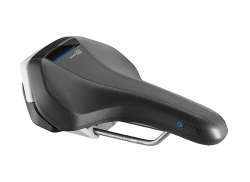 Hollandbikeshop.com is dealer of Bicycle Saddles for the E-Bike and has a large and affordable range. We also often have Bicycle Saddles for the E-Bike on sale or in our outlet, so keep an eye on our sale button. 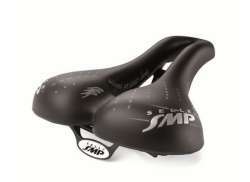 The largest and most affordable online Bicycle Saddle E-Bike shop!